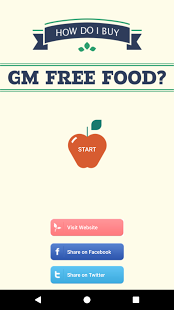 Studies done by the GM companies that want to release the GM food. These studies are usually unpublished and unpeer reviewed. Therefore they do not exist in the scientific literature. They are a gray area where scientists are paid to produce science for the benefit of a company. The assumption that GM foods and crops are 'substantially equivalent' to non-GM. Therefore no long term, in depth, toxicological, animal feeding, developmental or fertility trials have been required. The panel finds the use of 'substantial equivalence' as a decision threshold to exempt GM agricultural products from rigorous assessment to be scientifically unjustifiable and inconsistent with precautionary regulation of the technology. Further information and details of studies on GM. and requires no animal feeding trials. FSANZ relies on the studies done by the companies that own the GM crops. FSANZ dismisses peer reviewed studies showing harm from GM without using peer reviewed science. MADGE's report "Fed Up With FSANZ" explains the problems with our regulatory system in greater detail. Please download and read our report here. Madge wrote a report in 2009 having studied the application by Monsanto to release Roundup Ready GM canola in Australia. The studies done by the companies that own the GM crops are inadequate. For example, Monsanto did a test on their RoundUp Rready Canola planted in Australia in 2011. After 4 weeks of eating RR canola meal, rats had an unhealthy 12-16% increase in liver weight. This result was not followed up. their limited number, that most reporting favourable findings had been conducted by the GM companies, and that the debate remains undecided at all levels.